FEATURE — Many people who drive from Hurricane to Kanab on UT 59/AZ 389 can’t help but notice the sign marking the turnoff for Pipe Spring and wonder what it is and why anyone would want to live in such a barren land and take their chances trying to eke out a living there. As its name suggests, one of the reasons for its importance is because it has been a vital water source. At one time it was also a cattle grazing mecca. It’s always been a wonderful way-stop on the way to somewhere else, from late-19th century couples making the arduous journey from northern Arizona settlements to solemnize their marriages for time and all eternity in the St. George Temple to outdoor enthusiasts traveling from Zion to Grand Canyon national parks in the early 20th century. In fact, Pipe Spring’s location is one of the biggest reasons it became part of the national park system. The first director of the National Park Service, Stephen Mather, took a fancy to it in 1920 while traveling between the two aforementioned national parks and thought it would be a great link between the two. At the time the road next to it was the only way between the two parks before the construction of the Zion-Mount Carmel Highway and its legendary 1.1-mile tunnel in 1930. 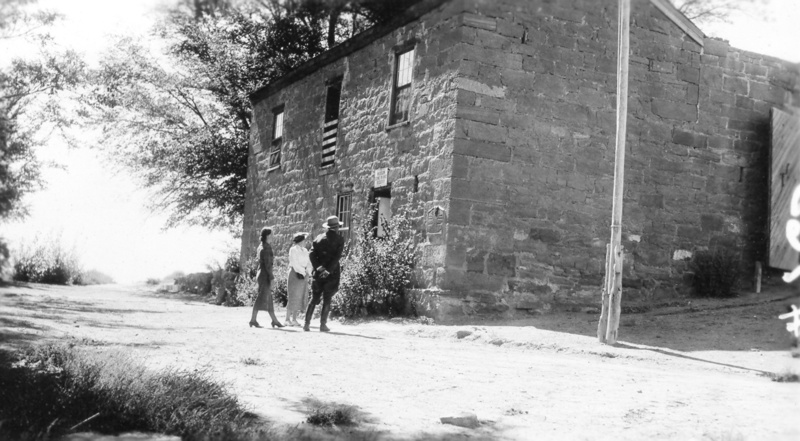 Mather, who had made a fortune in Borax mining, soon bought the old fort and the 40 acres surrounding it that once belonged to The Church of Jesus Christ of Latter-day Saints for $5,000. 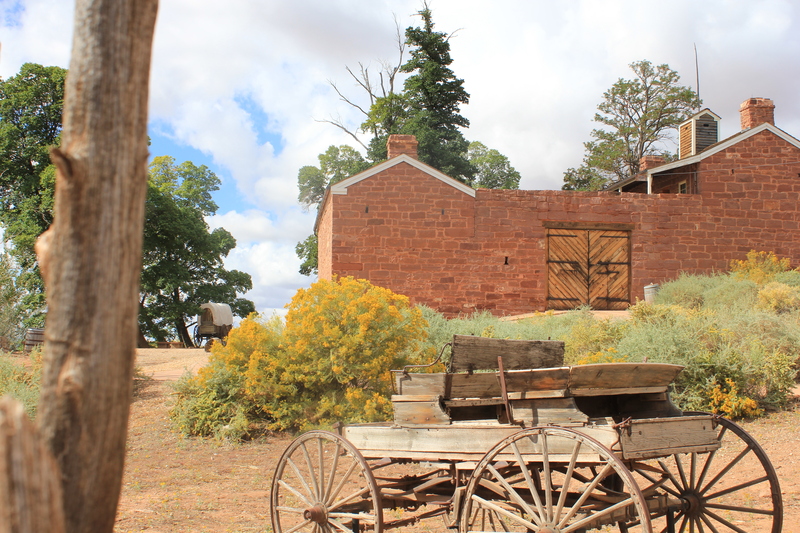 Without Mather taking notice of the dilapidated old fort in the far northern Arizona desert, it could have faded into obscurity. 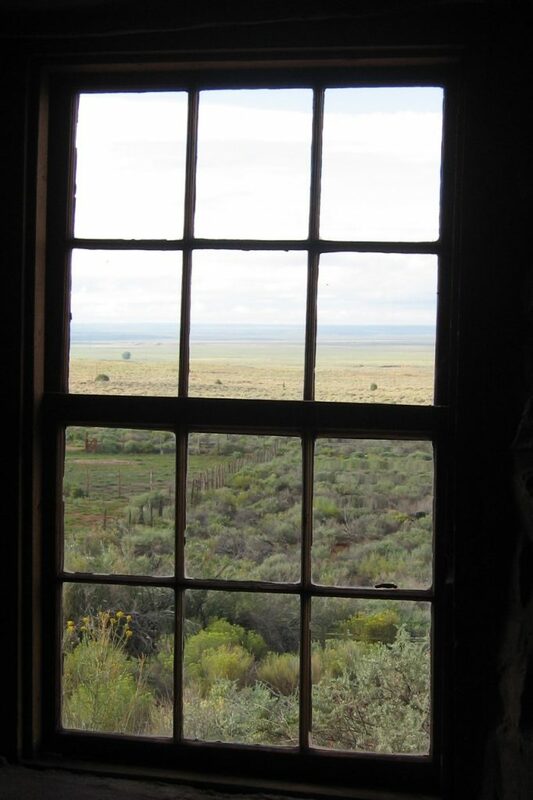 But little did Mather know his purchase would start of a protracted water rights battle among the National Park Service, the family from which he purchased it and the descendants of the people who had made the area their home for centuries: the Kaibab Paiute. 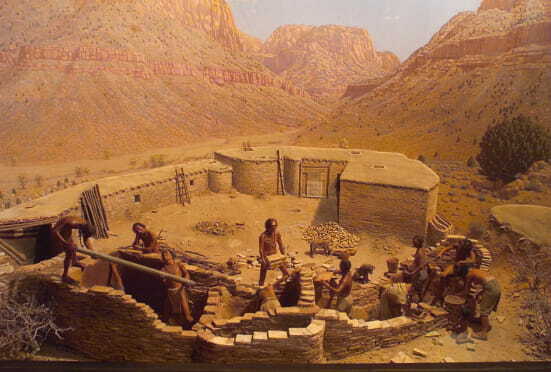 The Kaibab Paiutes have inhabited what is now known as the Arizona Strip since approximately 1150 A.D. and controlled the area until the mid-1860s. They hunted deer and small game, including quail, squirrels, ducks, gophers and rabbits, which provided a year-round source of meat. They also gathered seeds, berries, roots and flowers for sustenance. Pinon nuts also added a nutritious staple to their diets. The weren’t a truly nomadic people, however. They also irrigated fertile land to grow melons, squash, pumpkins, beans, amaranth and, of course, corn. 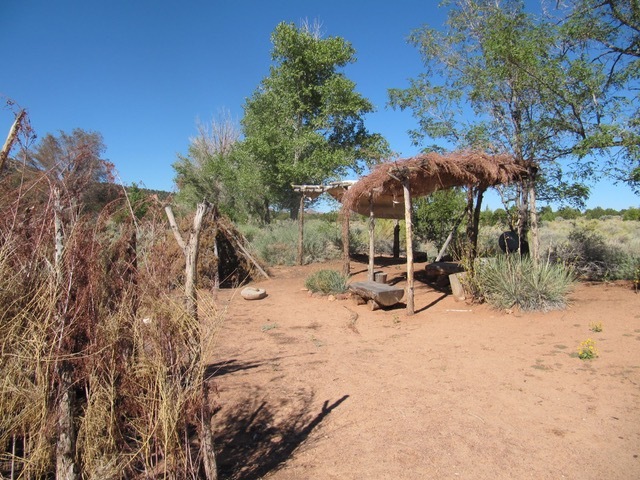 Agriculture needed a steady water supply, so the tribe set up such operations next to streams or springs, which were in short supply east of the Virgin River. Famed explorer John Wesley Powell, who utilized Paiute guides to explore the surrounding area, remarked at how well the Indians knew their terrain. 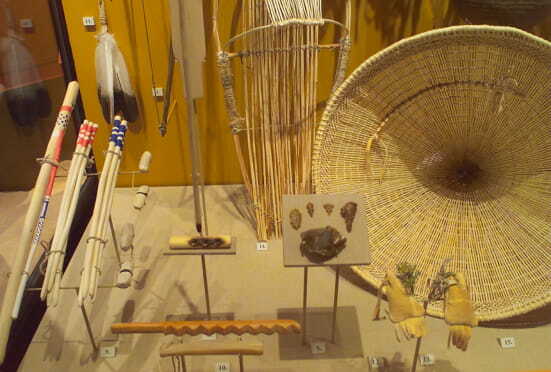 Historians Robert Keller and Michael Turek devoted a whole chapter on Pipe Spring and the Kaibab Paiutes in their 1998 book “American Indians and National Parks,” one of the short histories of the monument and the tribe closely intertwined with it that reached a wide, general audience. In that book, Keller and Turek detail how colonization by settlers of The Church of Jesus Christ of Latter-day Saints severely disrupted the tribe’s way of life, bringing three catastrophic consequences: destruction of vegetation, disease and loss of water sources. Settlers’ cattle and sheep foraged necessary grasses and plants. 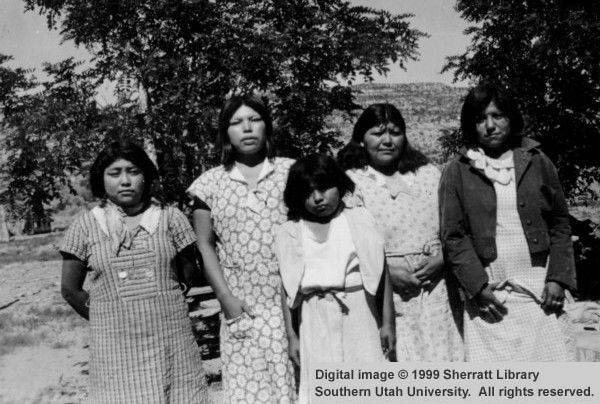 Sickness such as cholera, malaria, measles, mumps and whooping cough decimated the Paiute population. Lastly, white settlers soon occupied all scarce water sources, including Mu-tum-wa-va (Dripping Rock), which was also known as Yellow Rock Spring – or by its Mormon name, Pipe Spring – Keller and Turek wrote. One might imagine Pipe Spring as a literal pipe spewing cool water out of the ground, but it received its name from a different kind of pipe. Pioneer Indian missionary Jacob Hamblin and a few companions ran onto Pipe Spring during some of their travels in 1858. 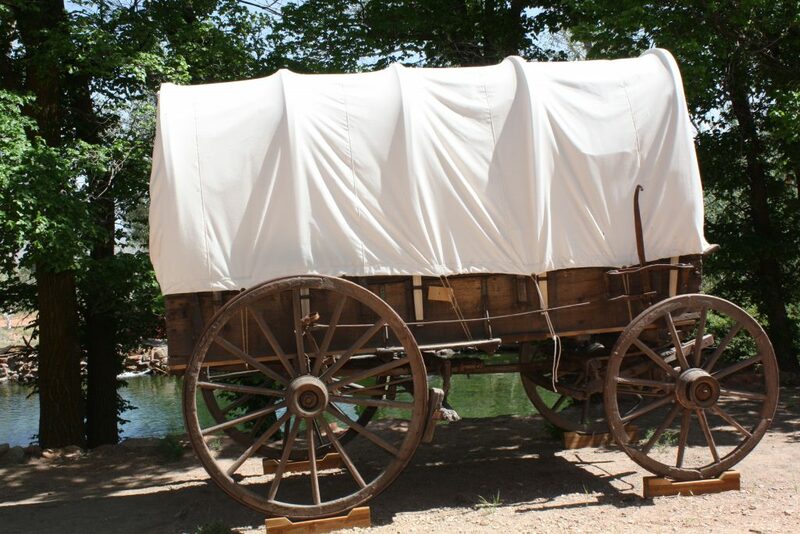 The story goes that during a stopover at the spring, Jacob Hamblin’s brother William Hamblin (nicknamed “Gunlock Bill”) was the victim of a prank, a bet that he could shoot a hole through a silk bandana tied to a tree branch from 50 yards away. Jacob Hamblin and companion Dudley Levitt laughed at Gunlock Bill’s attempt to accomplish the feat, knowing that lead balls shot from a gun could not penetrate the handkerchief. Frustrated, William Hamblin instead used Levitt’s smoking pipe as a target. One version of the story states that Gunlock shot the bowl out of the pipe, but another version said he simply shot the pipe off a rock near the spring. No matter what story is to be believed, either way, the name has been Pipe Spring ever since. 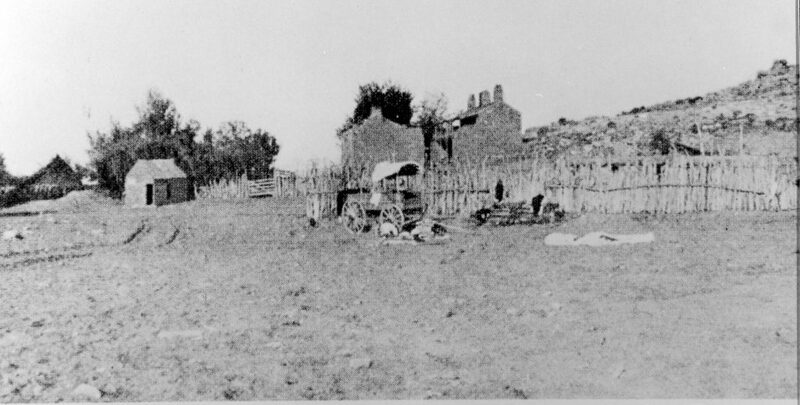 Latter-day Saint convert and former Texas cattleman James Whitmore came to Pipe Spring in 1863 in his search for rangeland. He built a rude shelter near the spring and obtained title to 160 acres he eventually planned on turning into a townsite. He built fences and corrals, planted grapevines as well as apple and peach trees. Just after Christmas 1865, Whitmore heard rumors of raids by the Navajo, a contingent of which had escaped capture and forced removal by the U.S. Army. Navajos regularly raided the Paiutes during this time period, killing some and even taking others with them to sell as slaves. Because of this, by the 1860s, their population severely declined. A report by Powell in 1874 stated that at the time there were only 207 of them left. 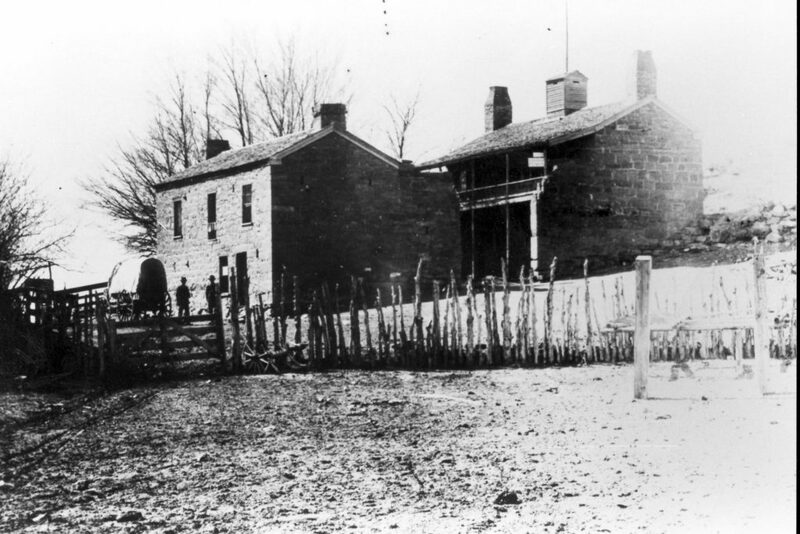 Hearing about the raids prompted Whitmore to travel from St. George to go check on his livestock with his son and a brother-in-law, Robert McIntyre. On Jan. 9, 1866, as Whitmore and his brother-in-law tracked stolen sheep on freshly-fallen snow while Whitmore’s son remained in the dugout, the two men encountered Navajo raiders at Bull Wash, 4 miles southeast of Pipe Spring, and were killed. Whitmore’s son reported their disappearance, which led to a posse of settlers killing a couple of Paiutes wearing Whitmore and his brother-in-law’s clothes, which they had obtained through a trade. With emotions running high, the posse ended up killing up to six more innocent Paiutes that day. This event sparked the Paiutes to seek revenge in killing three settlers who were returning to Long Valley from Grafton that April. With the eruption of Indian hostilities, LDS church president Brigham Young ordered settlers to temporary vacate settlements in the vicinity while the Indian’s ire died down. 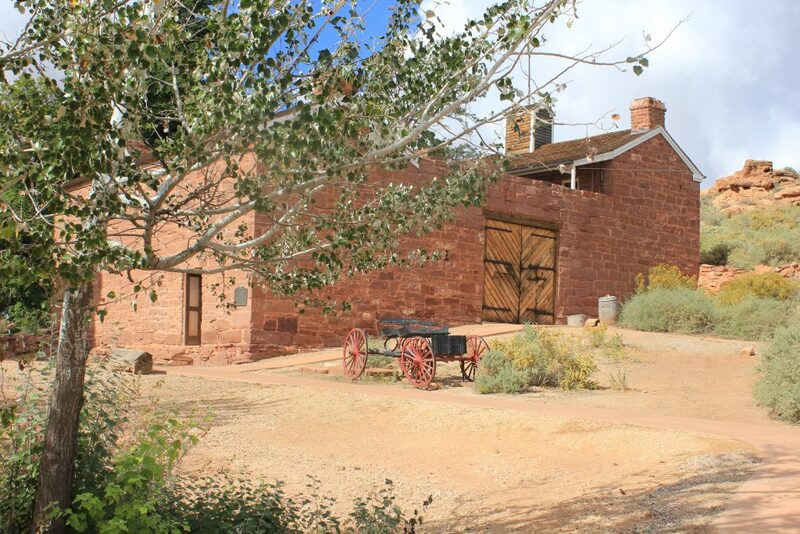 In 1870, Young moved to regain the church’s foothold along the Arizona Strip and established a fort built around Pipe Spring to guard against Indian raids, which thankfully ended in 1869 after the establishment of a Navajo Reservation, so the fort was never put to the test. 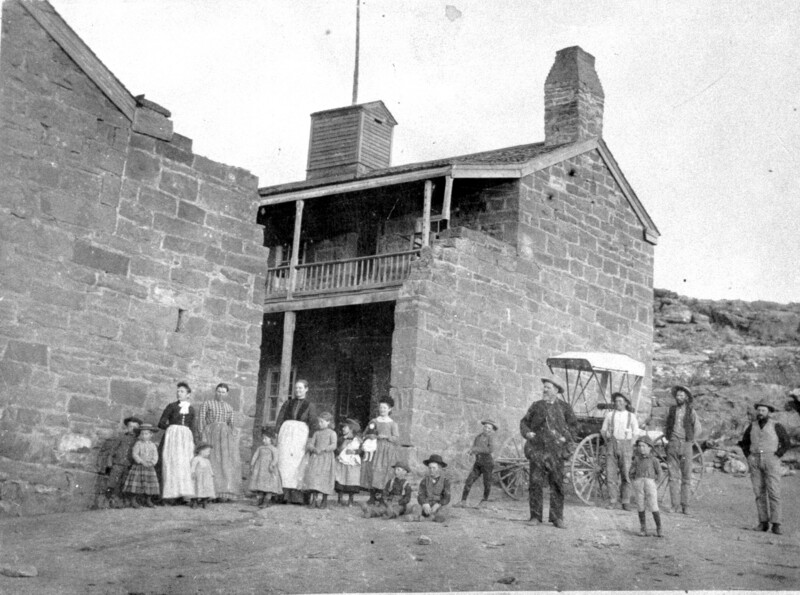 Winsor Castle, as the fort came to be called (a play on words in reference to the real Windsor Castle in the United Kingdom) was named after its first caretaker, Anson Winsor, and became the headquarters of the church’s cattle operation in the area, as well as Arizona’s first telegraph station after first being presumed the fort was located in Utah. Finished in 1872, the fort consisted of two-story red sandstone buildings facing each other across a courtyard closed at each end with heavy gates. The fort included slit-like gun ports, built into the thick walls in upstairs rooms as fortification against impending danger, which, thankfully, never materialized. A few stone cabins were built surrounding the fort as extra quarters. 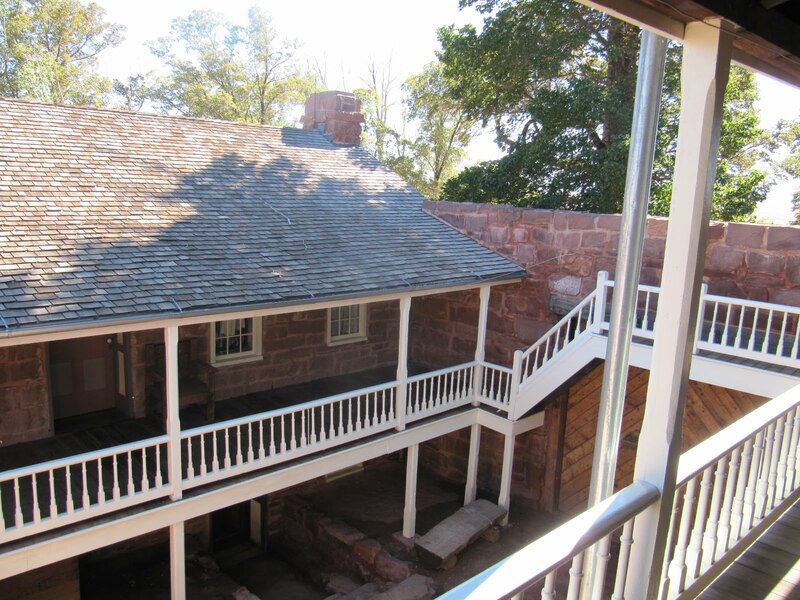 The fort’s north building was erected directly over the spring, and the water flowed to the south building. 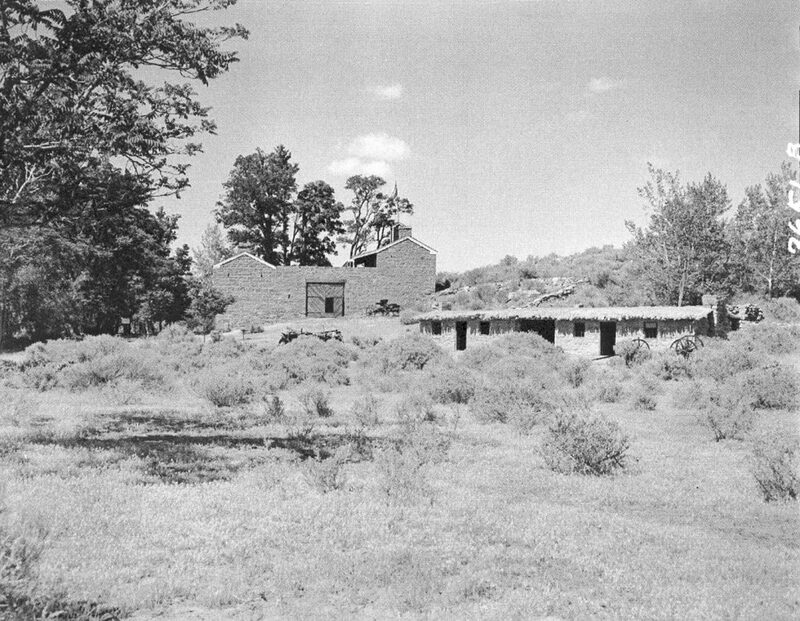 More than just supplying water, the cool waters from the spring acted as refrigeration for the dairy products produced at the ranch, including cheese. Every two weeks Winsor took butter, cheese and cattle to St. George. Cows were milked twice a day during the fort’s heyday. Crops on the farm included wheat, rye, alfalfa and flax. In the late 19th century, Pipe Spring was church farm and dairy operation, as well as the ranch that oversaw the church’s tithing cattle in the region, first called the Canaan Cooperative Stock Company and then the New Canaan Stock Company. It also became a haven of sorts for those hiding from polygamy raids because it was off the beaten path of federal marshals. Later, however, it was sold to private interests as a cattle ranch and became an important cattle buying and shipping point, the terminus of cattle drives to nearby railheads. When the United Order of Orderville failed and liquidated its property in the mid-1880s, one of its former members, Jonathan Heaton, ended up with the property that became today’s Moccasin, Arizona, just 4 miles north of Pipe Spring, a town which the Heaton family founded. The Heatons grazed cattle on their land and used more land than they actually owned for the same purpose. Hurricane resident Matt Heaton said his great-great-grandfather Jonathan Heaton and his family got along well with the Kaibab Paiutes. In fact, the tribe brought its sick members to Moccasin to be treated by a “community doctor,” Matt Heaton explained. Some Paiutes, however, were never happy with the white settlers on their land, but they somehow got along. Even though the two parties had a good relationship, the Paiutes were suffering. As one of their champions, Indian missionary Jacob Hamblin was concerned. Hamblin wrote a letter to Powell on Nov. 1, 1880, explaining the Kaibab Paiute’s plight, that the settlers had taken away their subsistence by overgrazing and utilizing all the fertile land for their own farming. Hamblin said their only sustenance was hunting for game. “I should esteem it a great favor if you could secure some surplus merchandise for the immediate relief of their utter destruction,” Hamblin wrote. 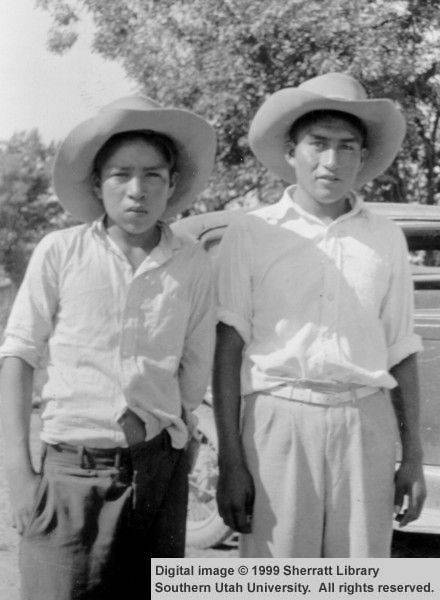 Powell wrote back that no help was possible at the time and that if the Kaibab Paiutes wanted to survive, they needed to move to reservations in Nevada or central Utah and learn subsistence farming. To the tribe, both places were too far from their homeland, so they remained. As Indians without their own land, the Kaibab Paiutes had no hunting rights, nor did they own their own cattle. In 1907, the federal government finally created a reservation for the Kaibab Paiutes, 18 miles long and 12 miles wide, withdrawn from the public domain. Its border began south of Kanab, Utah, and west of Fredonia, Arizona, and its creation irked local ranchers, who stood to lose from land on which they once grazed cattle that fell within the reservation. The Kaibab Paiute Reservation didn’t follow the usual script of Native American displacement caused by white settlement. 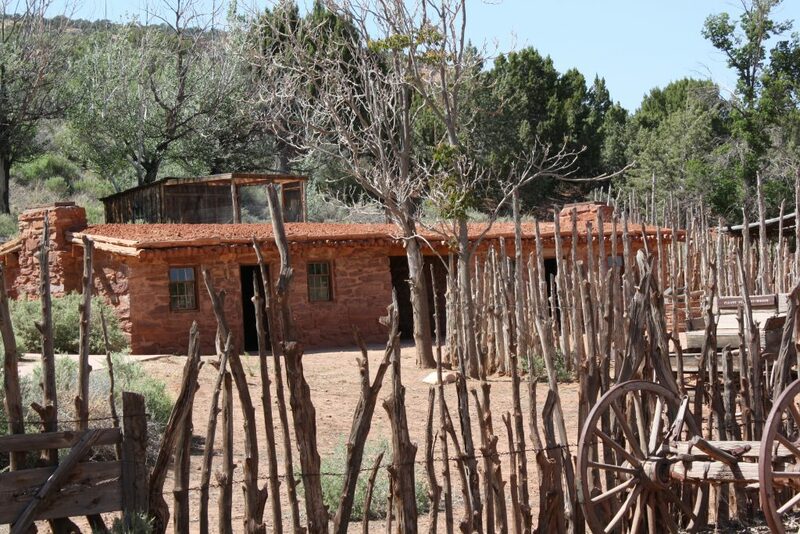 Instead, established settlers had to make room for the native population, Mary Knack wrote in her article “Interethnic Competition at Kaibab during the Early 20th Century,” which appeared in the Spring 1993 issue of journal Ethnohistory. On the reservation, the tribe had its own cattle herd, which grew to 400 animals by 1914. By that time, they also had 45 acres of irrigated crops. Local townspeople protested the reservation taking their farmland, and early petitions for alteration of the reservation boundaries were rejected with one exception. When the 1912 public survey found that Fredonia was within the reservation boundaries, that part, of course, was relinquished. The Heatons stood to lose the most from the reservation with nearly 3,000 reservation acres enclosed by their fences. The family even petitioned the Secretary of the Interior to eliminate that acreage from the reservation, arguing that the Indians weren’t really using the land. That petition was denied, but eventually a compromise was brokered with the Heatons receiving title to 476 acres within the reservation boundaries. The Heaton Family still owns a lot of land in and around Moccasin. Matt Heaton said his great-great-grandfather set a foundation of hard work that has kept the family close. With two wives and 26 children (15 sons and 11 daughters), the original Heatons near Pipe Spring have quite a posterity. 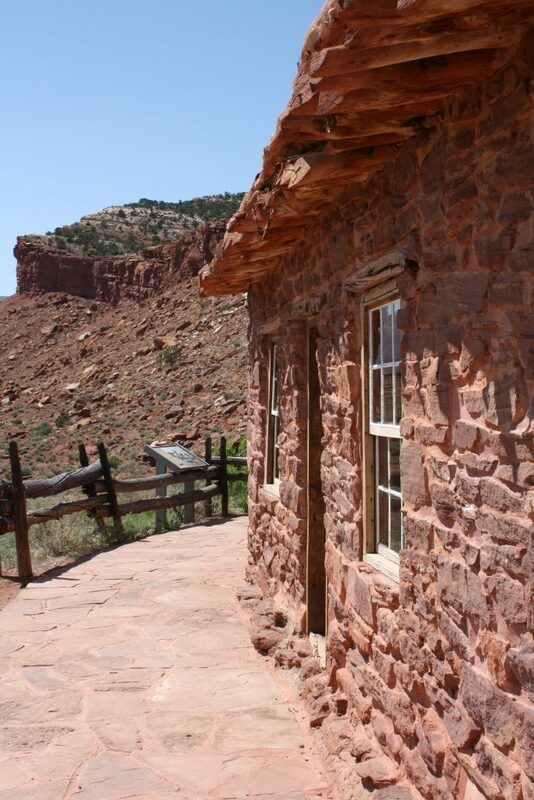 Before living in Orderville, Jonathan Heaton was called to the Muddy Mission in Nevada, notorious for its difficulty. Matt Heaton said his great-great-grandfather’s family learned that everyone has to pitch in to make things work well and that legacy lives on today. When Mather purchased Pipe Spring in the early 20th century, he convinced President Warren G. Harding and his administration to set it aside as a national monument, which happened on May 31, 1923. However, the final sentence of the proclamation establishing the monument proved problematic and began a long battle over water. Even the church had ordered years earlier that one-third of the flow of the spring be for Paiute use. The Heatons insisted that cattlemen in the area have access to the spring, and Mather promised to retain it as a public water reserve as it had been declared in 1916. Interestingly, Knack reports in her article that local settlers never disputed the Kaibab Paiute right to a fixed share of nearby Moccasin Spring. The Bureau of Indian Affairs also entered the battle, saying that public access to tribal water should not be allowed, which began a back-and-forth between the National Park Service and BIA that would last nearly 50 years. As the proclamation creating the monument stated, its purpose was to preserve pioneer life, and Mather wanted it to look like it did during its heyday, with orchards and gardens, but that would require a lot of water. Ironically, Leonard Heaton, part of the prominent ranching family in the area, was hired as the monument’s first caretaker, and over the water issue, some questioned his loyalty. There were even some dissenters in the NPS who supported the Indian water claim. One of them, Thomas Parker, an assistant superintendent at Zion at the time, argued that Leonard Heaton had turned Pipe Spring into his own personal barnyard, had made the monument a disgrace to the NPS and that the problem would only be solved by firing Heaton. The BIA argued that Indian subsistence was of much greater importance than the monument’s landscaping. Keller and Turek wrote, however, that Leonard Heaton, while forced to supply the Kaibab Paiutes water, never had problems with them. “He collected their artifacts, took school children on Easter outings, and entertained them at the monument,” the duo wrote, noting that he also helped them fight a fire that engulfed the BIA school in 1948. In the 1950s, the NPS made an inventory of Pipe Spring water and concluded that the Paiute did not need or use their third share, and in the mid-1960s the agency opposed efforts by the Heaton Family to claim a share of Pipe Spring water as well. A concrete water agreement between the tribe and the NPS didn’t come until 1972 and was achieved only after the Park Service dug a well on Kaibab Paiute land, Keller and Turek explained. At the end of their chapter about Pipe Spring, Keller and Turek tell a version of a one-sided, sugar-coated story that painted a distorted picture of the monument’s history and called for the monument to expand its interpretation. Based on that proclamation, the original story that was conveyed to visitors at the monument was “very Manifest Destiny-centric, focusing on the settlers and the role of the LDS Church,” said Pipe Spring Superintendent Fred Armstrong. That Manifest Destiny theme is felt by a reading of a monument brochure from 1943. Some feel that the criticism of the monument’s interpretation in the Keller and Turek book helped lead to changes in the monument’s interpretation. I would like to think it has been as gradual maturing over time where the National Park Service as a whole has been striving to tell the complete story of the places we administer for our citizens. 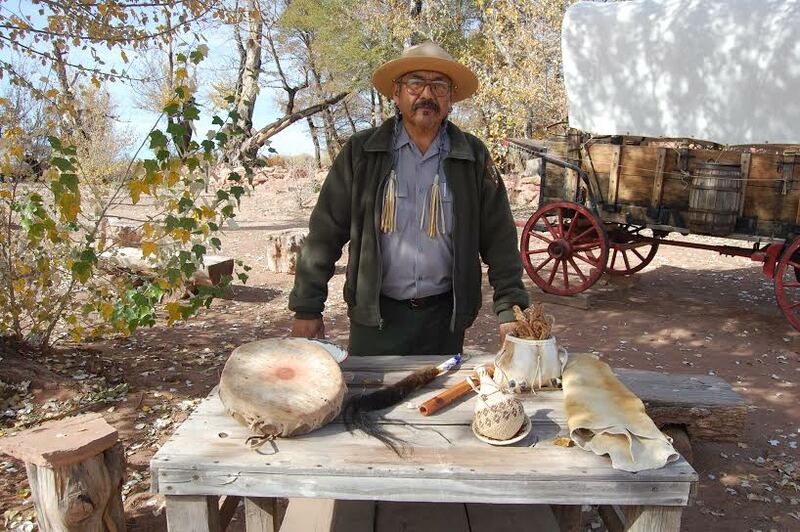 The heritage and story of the Kaibab Paiute and their relationship to the land and local springs is just as compelling and important as the story of the early cattlemen and the relationship to these lands by the Mormon settlers. There are multiple,complex interactions and stories throughout the monument’s history, Armstrong said, some good and some bad. That history, however, has come together beautifully with the backgrounds of the actual interpreters at the monument. “Today, I am pleased to say that we have members on our staff from the background and heritage of the Kaibab Paiute, the cattlemen and the FLDS settler families,” Armstrong said. 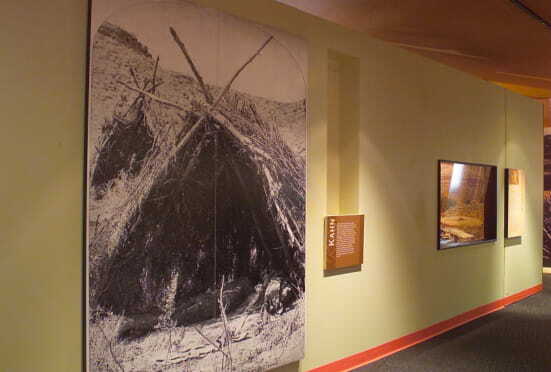 One of the events that really helped meld the stories of the Paiutes and the early settlers was the remodeling of the visitor center in 2001 so that the Kaibab Paiute tribal culture could be a part of the visitor center exhibits. Today, the pioneer and Paiute history is interpreted, in essence, side by side. 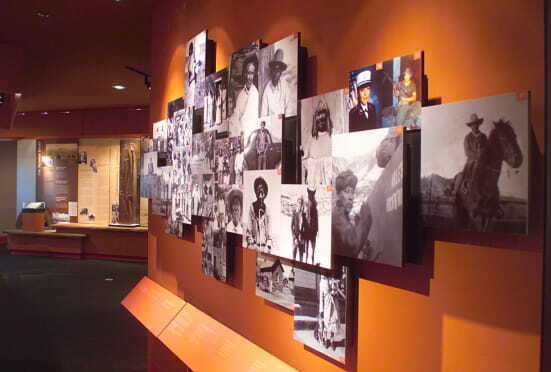 “Contemporary life on the Kaibab Indian Reservation blends traditional cultural values with economic development,” a panel at the visitor center reads. Thankfully, today’s Kaibab Paiutes, governed by a six-member tribal council and tribal chairperson, do have economic resources. Tribal enterprises include a gasoline station and convenience store, cattle ranching operations, sport hunting licensing and guiding, among others. They work with other Southern Paiute bands to preserve their history and culture. Pipe Spring National Monument is located just over an hour southeast of St. George along UT 59/AZ 389. Visitors can enjoy the displays at the museum, tour the old fort, Winsor Castle, and inspect other pioneer relics on the grounds. During the summer months, it features ranger talks and living history demonstrations and also hosts an annual Christmas event. For more information, visit the monument’s website or take a virtual tour of the museum. Great article. Been to Pipe Springs twice and enjoyed it both times. Mather was a true visionary and the American people are forever in his debt in helping create the NPS we all enjoy. Sweet report. Done the tour, they had a lady dressed up like she was from CO city and she may well have been. The spring is drying up though, at least that was the report we got last time there. Love the history! Article notes the “Church Herd” was run out of here, but IIRC during a “Global Warming drought” in the 1800’s, the Church lost much of their cattle herd managed out of here. As I remember. We’ve driven past many times, but have never stopped. After reading this interesting article, we’ll make it a point to do so. Thank you for another great read!